We are very proud to announce that we have recently become an authorized distributor for the Mack Brush Company as well as the "Lil Daddy" Roth Flake product line! 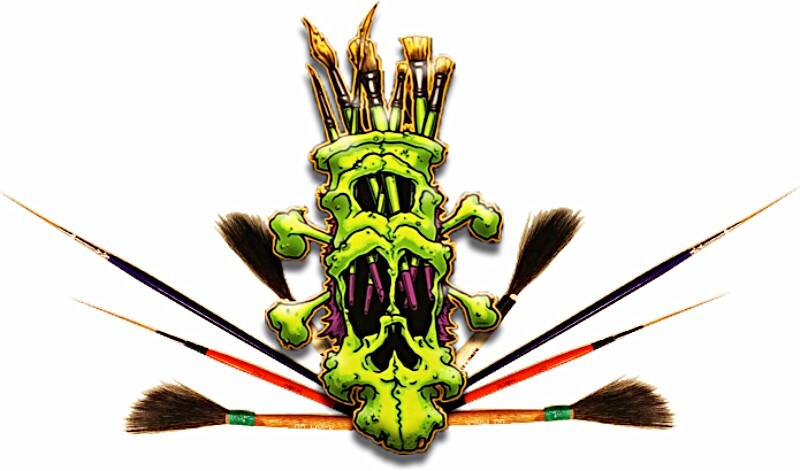 We have stocked our shelves full of all your pinstriping and painting needs to get your creative on! 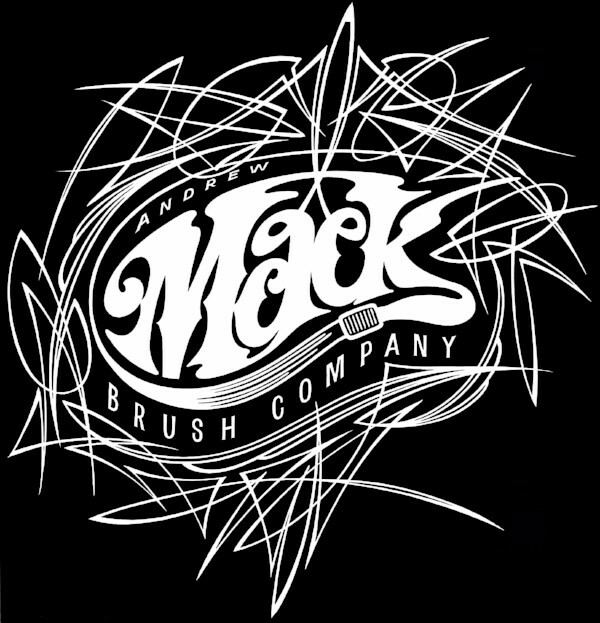 "Although the Andrew Mack and Son Brush Co. was founded in 1891, its history goes back to 1865. It was during that year that J.J. Deal founded his wagon and buggy factory in the small village of Jonesville, Michigan. The Deal factory quickly gained the reputation of building the finest carts, wagons and carriages in the Midwest. The products were first class in every detail - even the paint! It was with this emphasis on quality that the Mack Company made its contribution for several years prior to 1891. Andrew Mack (1860 - 1946) had been the head striper at the Deal Co. Andrew was a true perfectionist and he had never been completely happy with the quality and performance of the striping brush furnished him by the Deal Co. Through the months, and probably years, of experimentation with various brushes, Andrew finally developed what is now know as the "Mack Striping Pencil." All carriages carried a great deal of pin striping during this period of our country's history. It wasn't long before other companies and pin stripers throughout the United States heard about Andrew's improved striping brush and wanted to secure a few brushes for their own striping needs. Soon the demand for Mr. Mack's brushes was so great that it was time to strike out on his own and enter into the manufacture of striping brushes. Andrew Mack resigned from the Deal factory in 1891 and was destined to originate one of the most unique manufacturing companies in the world!"